Low-impact development (LID) is an economical and effective strategy for protecting and restoring coastal water quality by preventing polluting stormwater runoff. We at the federation work to make it easy to use anywhere. LID prevents stormwater runoff from polluting waterways by mimicking a site’s natural surface water and groundwater hydrology. LID includes many decentralized stormwater design techniques that infiltrate, filter, store and evaporate runoff. Instead of directing stormwater to centralized ditches, pipes and ponds, LID maintains a landscape that captures and absorbs rain before it has a chance to become polluted runoff. Since stormwater is the main reason many coastal creeks, rivers and sounds are polluted, the federation embraces LID as an essential stormwater management strategy and widely promotes its use. It is best to incorporate LID early into the design phase of new projects. LID site designs for new projects make the most efficient and effective use of the landscape and are more economical. LID can lower the cost of development projects by reducing the amount of expensive pipes, ponds, curbs and gutters that are typically installed with conventional development. These techniques can be incorporated as stormwater reduction measures to remedy runoff problems on existing sites, both big and small. LID can also save taxpayers money by reducing stormwater maintenance costs and by resulting in cleaner coastal waters that are suitable for fishing and swimming. Disconnected impervious surfaces: Runoff from rooftops, sidewalks, driveways and roads can be directed to landscaped areas or porous pavement to promote infiltration and reduce the volume of stormwater. Preservation of open space/natural features: Development should be directed to appropriate areas where there are no or few environmental constraints. Additional areas of a development site that will not contain buildings or other infrastructure can be protected from clearing, grading and other construction-related effects, reducing the amount of disturbed land and maintaining mature vegetation. 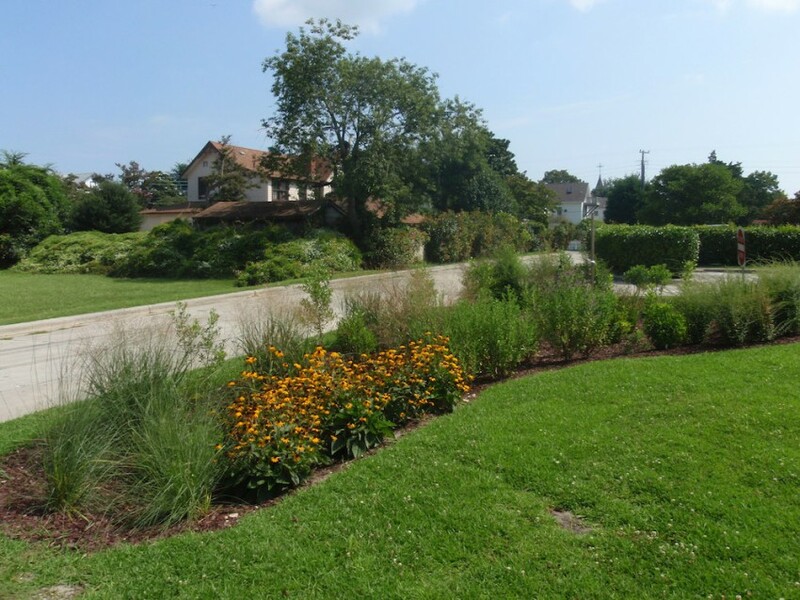 Rain Gardens or Bioretention Areas: These landscaped depressions that collect runoff and manage it through infiltration, evaporation and biological uptake of nutrients and other pollutants. These practices work well in sandy soils with the use of native plants. Flow-through planters and tree boxes: Planters and tree boxes enhance streets and courtyards with attractive vegetation and shade and also provide pervious areas for rainfall interception and stormwater infiltration. Porous pavement: A variety of paving surfaces have been developed that contain spaces that store and infiltrate runoff. Pavement types include porous concrete, porous asphalt, and interlocking pavers. Water harvesting (rain barrels, cisterns): Rainfall from rooftops can be collected through downspouts and stored for reuse. Rain barrels are typically used to store water for landscaping, and cisterns, which offer more storage volume, can store water for toilet flushing, landscape irrigation or other applications where larger volumes of water are needed. Eco-roofs: Also known as green roofs, eco-roofs consist of a layer of soil and plants installed on a roof. 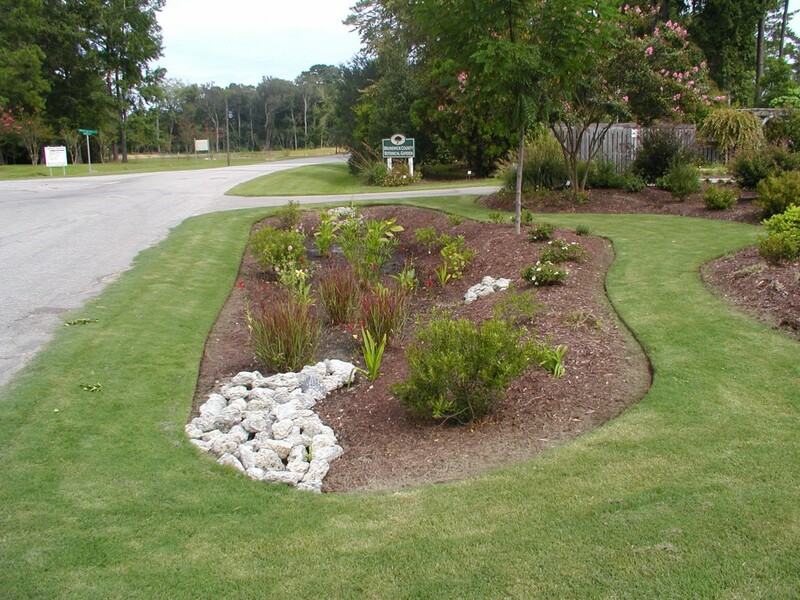 They retain stormwater, reduce stormwater volumes and promote evaporation. Eco-roofs have been shown to have energy-saving benefits and help to reduce the heat-island effect in urban areas. Low-input landscaping: Choosing native plants that are easy to maintain and adapted to local climate and soil conditions decreases or eliminates the need for watering, fertilizers and pesticides. These partnerships promote and facilitate greater use of LID for new residential, commercial, industrial and institutional projects. We have worked with our partners to develop new standards and tools to simplify the use of LID as a voluntary and cost-effective option for stormwater management. The federation also assists local governments with plans, manuals and trainings on how to incorporate LID into their stormwater management strategies. We are also working with businesses, communities and schools coast-wide to install stormwater reduction measures that decrease the amount of existing stormwater pollution. These stormwater reduction projects are discussed on the federation’s restoration page and you can learn how to incorporate LID into your landscape to reduce runoff in our Smart Yards publication. LID protects water quality, saves money and gets people working together for a healthy coast. Join us as we promote LID along our coast and become part of our movement to advance LID as the next generation of stormwater management. See our Coastal Review Online article on the summit featuring summit presenter State Representative Rick Catlin, New Hanover County. In partnership with the Business Alliance for A Sound Economy and the Wilmington-Cape Fear Homebuilders Association, the federation developed an LID Statement of Support. Contact Lauren Kolodij if you would like your company or firm added to the growing list of endorsements. A committed partnership between the state, the federation, North Carolina State University, development professionals, local governments and private engineering firms developed user-friendly tools and revised technical guidelines that allow for state LID stormwater permitting credits. On April 1, 2014, The N.C. Department of Environment and Natural Resources released a public notice of the draft (Storm-EZ calculation and permitting tool) developed by Withers & Ravenel and chapters of the state best management practices (BMP) manual that feature LID techniques. The federation led efforts in 2012-2014 to identify obstacles to the use of LID and to find timely and cost effective solutions to remove those impediments. Realizing the great potential of LID, state water quality officials made a formal commitment in 2012 to promote its use as a voluntary option for developers. 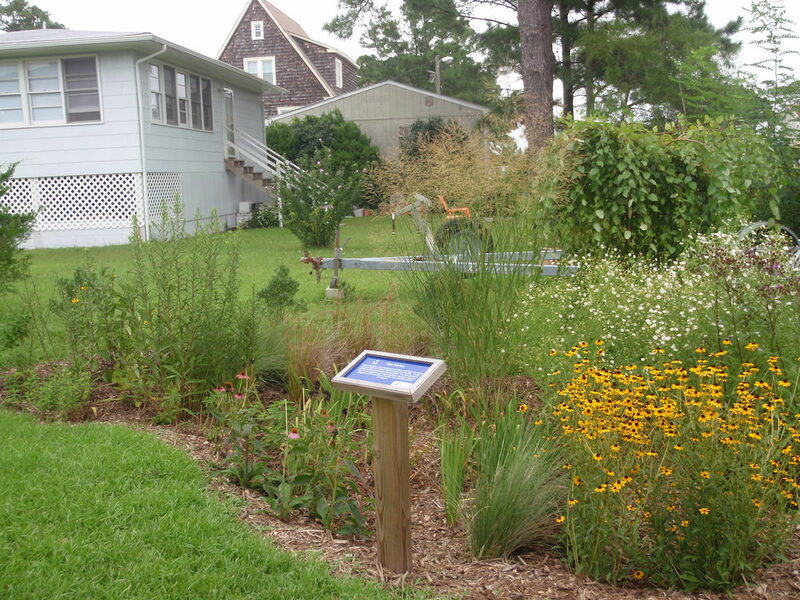 The federation formed partnerships with several local governments to develop Low-impact development manuals to facilitate the voluntary use of LID in coastal communities. More projects are in the works; stay tuned. The federation, NCSU and engineering firm Withers & Ravenel completed two demonstration projects that compare the economic costs of LID compared to conventional stormwater management in commercial developments.